Magical. No wear through several (5000-8000) km on the dry continental roads. I would try it out on MTB. Silent (almost), smooth-shifting, and extremely durable. Very durable and it suits my Campagnolo groupset. Good chain that lasts a long time. I even use this on my Shimano and SRAM equipped bikes because it lasts longer. Super light and precise paired with Campagnolo Chorus 11sp cassette 12-29. Love Merlin Cycle prices and mail service to Puerto Rico. 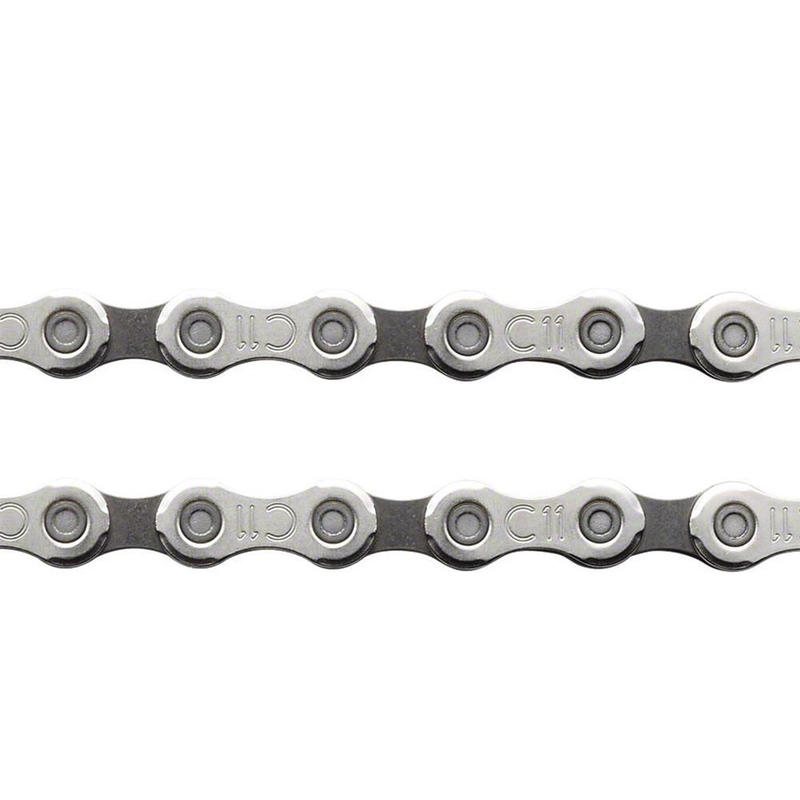 Still offers the best shifting and quietest running in a Campag drive chain. Great price, great delivery, too. Great chain. Have tried others like KMC and Wipperman but always come back to this. I do use KMC quick links with it though. Never had an issue doing that. Typically excellent quality from Campagnolo. Very good durability and works well with a KMC 11-speed Missing Link. Great "bang for the buck." The campagnolo chains are exceptional, it works perfectly, the gear changes are perfect, not to mention its durability is actually higher than other brands. I Always buy only these genuine chains and change them every 10000Km. They wear extremely well on 11S	campy systems. Standard Chain but quite reliable and the new one is far better than the old one. Smooth and quiet. Not as light as Record, but not enough to matter, save your cash, they last exactly as long.